BSP has its own political strategy but in politics perception too is important. 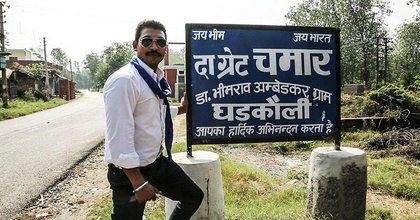 BSP should welcome Chandrashekhar and ask him to strengthen the Dalit movement in Uttar Pradesh socially. The problem is that if Chandra Shekhar join hand with any other party, we know he might not make a huge dent but he might become the reason for ‘defeat’ of many candidates of the party. I know our political parties never showed maturity in this regard but I hope Chandra Shekhar and other know that 2019 are very important. We know that BSP has not supported him but hopefully it will change its attitude and embrace him in the greater interest of the party. For the sake of India, parties like BSP need to survive and provide space to all people who come from the ideology of the Bahujan Samaj movement. There is a need for increasing democracy inside the party and space for the dynamic young leaders with vision and futuristic ideas like Chandra Shekar. We welcome Chandrashekhar’s statement that he will fight towards throwing the BJP out of Uttar Pradesh but is BSP ready to embrace him. If not let the BSP not villainise him. Support his human rights to get justice and seek justice for the victim of village Shabbirpur.